I’m sure, like me, you’re all mourning the end of The Great British Bake Off. Paul and Mary will not grace our screens for another year and quite how I’ll cope without the drama of Nadiya’s fabulous facial expressions in my life, I simply don’t know. Naturally I’ve channeled my grief into baking. 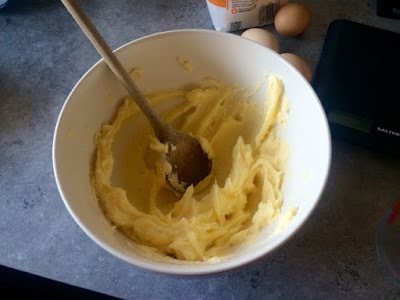 You may have noticed I’ve not actually featured a bake on the blog since April! This is not because I’ve been off the cakes and sweets for six months. There’s been plenty of cake. It’s actually because (confession time!) I’m not actually the best baker in my house. I love to make cakes, but The Boyfriend’s actually a bit better at it than I am. Don’t tell him I said that. But I’m more of a savoury girl and my natural cooking talent lies more in the area of dinners than puddings. 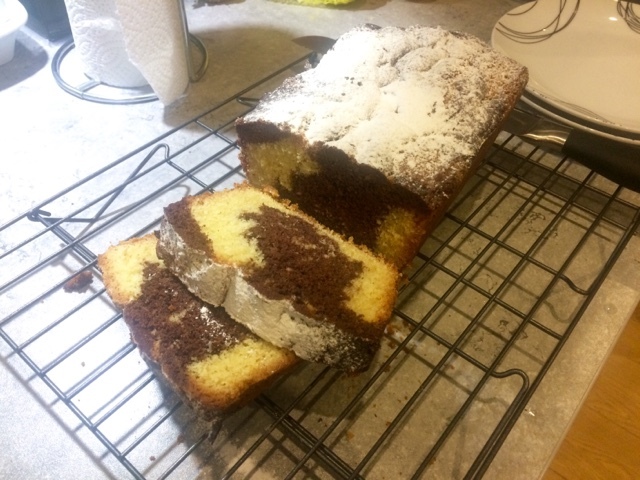 However, I needed to fill the gaping hole that the season finale of The Great British Bake Off had left in my life and so a few weekends back, I made a cake. When I do bake at home, I’m definitely more about the flavours than the fancy presentation. It’s not that I don’t enjoy that side of baking. I just don’t see the point of putting loads of effort into fancy decorations when they’ll be ignored and the family will have demolished the lot in a couple of days. I like loaf cakes and I like tray bakes, as a slice or a square is ideal with a nice cup of tea or coffee. I also like cakes that aren’t completely plain and boring, whether that be interesting flavour combinations or something else. 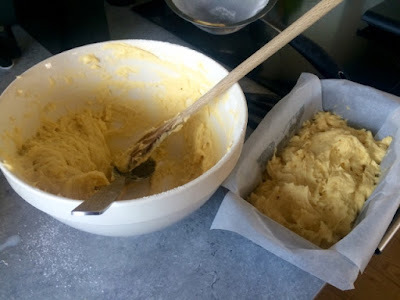 I’ve got into the habit of whenever I feel like whipping up a quick cake without looking for a new recipe, just always making a lemon drizzle. 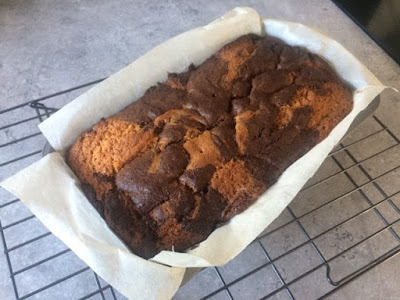 It’s my go-to cake that always turns out well and always tastes delicious without me having to head down to the shops to look for some really specific obscure ingredient. 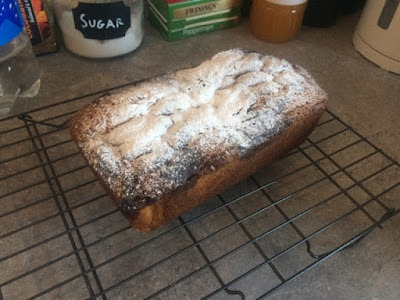 I didn’t want to make yet another lemon drizzle and so this time I went for this rather delightful marble loaf cake. I had all of the ingredients in the cupboard, it’s not plain and boring and cutting into it to reveal the light and dark sponge adds a bit of an element of excitement and surprise that I enjoy. 1. Preheat oven to 180ºC. Line a loaf tin with baking paper. 2. 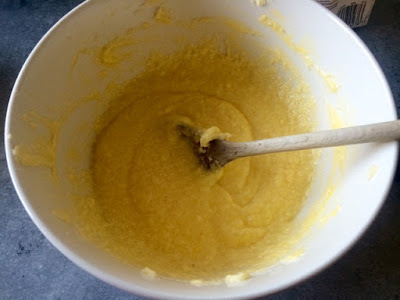 In a large bowl cream together the butter, 180g of the caster sugar and the vanilla extract until light and fluffy. 4. 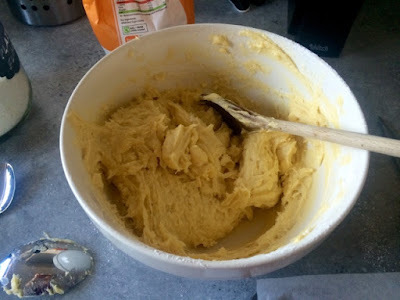 Fold in the flour, and baking powder with 2tbsp milk. 5. 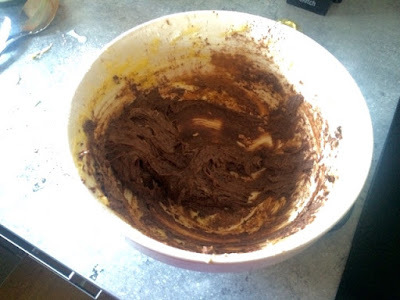 When the cake mix is combined, tip 2/3 into the loaf tin. 6. Sift in the cocoa powder and add the remaining sugar and milk and fold together. 7. 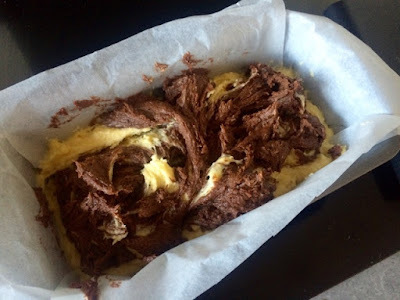 Add to the loaf tin and use a butter knife to mix the two cake mixes into a swirly pattern. Don’t go too overboard, you don’t want to mix them together. 8. Bake in the oven for 55-60 minutes. Insert a skewer into the cake, if it comes out clean the cake is cooked. If there’s cake mix on the skewer, return to the oven for 5-10 minutes. 9. Remove from the tin and leave to cool on a wire rack. When cooled, dust with icing sugar.